Hypnosis is oftentimes ridiculed as being a performance scam where the performer preselects the individuals he plans on hypnotizing, ensuring that the act always looks authentic. 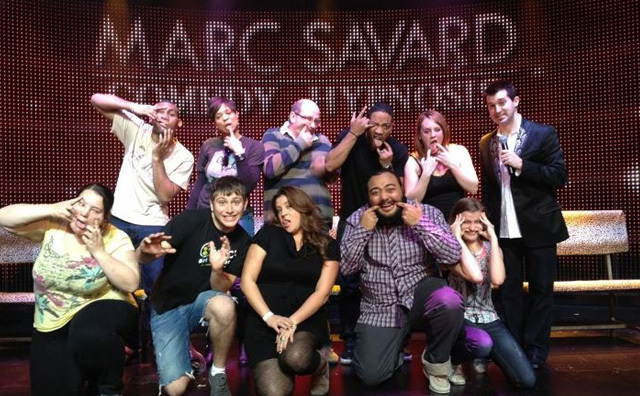 In Vegas, Marc Savard looks to break that stereotype and aims to give the act of hypnosis a new name. 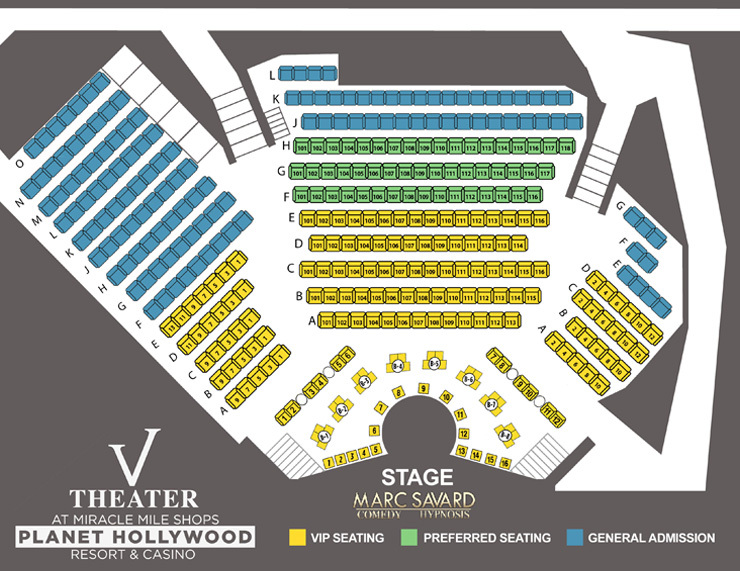 Mixing comedy with this controversial psychological technique, Savard puts on a show for the ages, one that is personal enough to warrant being in the small-boxed V Theater of Planet Hollywood. When it comes to a hypnosis act, there is on common factor - the need for volunteers. Rather than pick volunteers at random, Savard allows the audience members to decide upon themselves, ensuring that the act retains its sense of realism and lack of corruption. From here, Savard entrusts these individuals in being fun-spirited and ensures that all are fit for the madness that he plans on putting them through. All-in-all, each volunteer must be able to fit the billing of having a "fun personality". Anything less, and surely embarrassing tales told after the show are sure to cause hard feelings amongst audience members. Savard has in his employee a routine of hypnosis entertainment that ensures the audience members still in their seat will spend the entirety of the 1 hour plus long show laughing hysterically. It takes a lot of trust to let somebody hypnotize you, and Savard shows us exactly why. Once the volunteers are under his command, he puts them through a grueling bout of mind manipulations that, at one point, leads to the entire set of volunteers believing they are playing in a world famous orchestra. Laughter erupts when the volunteers awaken under Savard's command and start playing their "air" instruments with a conviction that not even the London Philharmonic Orchestra could match. 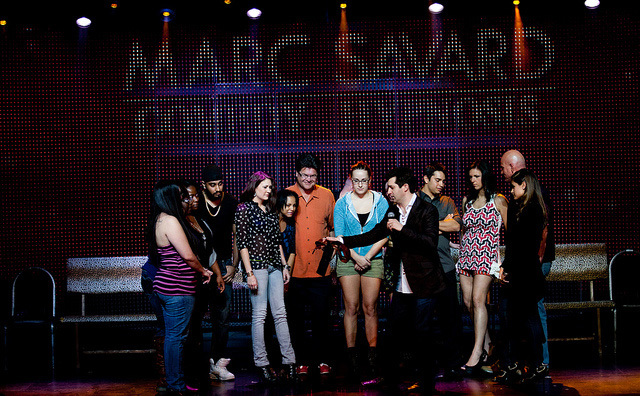 From this bit, which serves to determine which volunteers are actually hypnotized, Savard dwindles his volunteers down to eight lucky individuals who will remain on stage with hime for the remainder of the show. The remainder of the show's hypnotics lead to nothing but a laugh riot as the remaining volunteers are led to believe they are each living out a specific scenario. On cue, the volunteers react accordingly, creating scenes of chaos that sends the audience into a laugh frenzy. 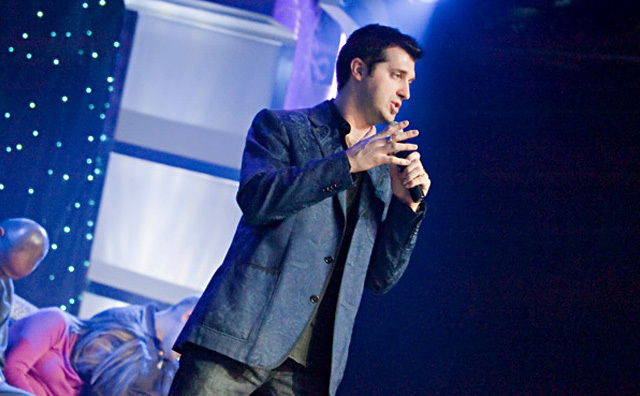 While it's easy to discredit the realism behind hypnosis, Savard ensures that the show does not turn into a debate on his abilities. On the small stage of the V Theater, Savard creates an experience that lets the audience let go of the real world, sit back, and enjoy themselves through the humiliation of others. At times, the shows gets a little risqué, as most hypnosis shows do, which warrants the 18 year old age limit on this Vegas production. 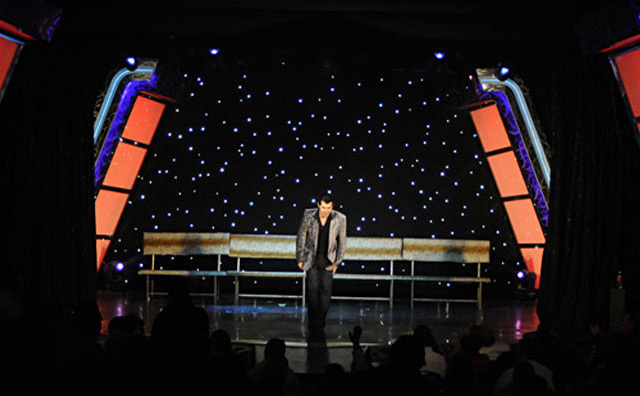 It may not have the production value of your typical Las Vegas stage production, but Savard's hypnosis act is a comedic event that will have you rolling on the floor - lest you're lucky enough to be one of the few volunteers. Then you'll simply be at his behest.